The holidays might be over, but retail planning never ends. The outcomes of the holiday season were positive, with holiday retail sales growing 5.1% to more than $850 billion, the highest in six years. Many brands are encouraged as they embrace ‘retail 2019’ and will continue to leverage learnings from holiday 2018 to improve planning and programs to create more engagement throughout the year. The holiday calendar has become a year-long journey for some, but if retailers offer what consumers are looking for year-round, they won’t need to rely on Q4 as their most profitable quarter. And transactional data is key. Insights based on transactional elements gathered all year long can identify consumers who buy the most during the holiday season, how much they spend, what categories they purchase and beyond. Consumers want all channel options because they realize and reap the benefits of each one. And they need a seamless experience across channels because they don’t think about your brand in terms of channels: They think about the holistic experience your brand demonstrates. When planning your channel strategy, think of channel purchase versus channel fulfillment and how each one influences the other. Nordstrom does an excellent job with their buy online and pick-up in store (or curbside). Additionally, some Nordstrom stores offer pick up outside of regular store hours. Other retailers offer order in store and have items shipped directly a customer’s home, which is convenient, especially if it’s a size or color that is only available in certain stores. And don’t dismiss the role of the catalog. The catalog is a proven channel that gives your customer an ‘in-home’ glimpse of what you have to offer. This often prompts an online purchase or drives them into the store for that instant gratification purchase. So do your data homework, learn your customers’ preferred channels and make it easy on them. Retailers are constantly looking to create more value for their customers by offering anticipated or relevant products based on their purchase history and behavior. This holiday season, several brands created this value by promoting items outside of typical gift-giving and driving self-use purchases. Retailers offered deals of the day to encourage consumers to purchase and this created a feeling of ‘this is too good of a deal to pass up’. The share of wallet increased as consumers made purchases based on the deal while also purchasing the gift giving item they needed. In addition to the deal of the day campaigns, several retailers created gift-giving promotions. LL Bean’s “50 gifts under $50” promotion is one example. While shopping for an item for a friend, customers may uncover other useful items for themselves. For instance, they could find some fire-starter wood for their home, an item that many people don’t know that LL Bean carries. Promoting practical use items during holiday is a great strategy as it creates a reminder of ‘the needed’ items of the shopper herself. This type of thinking doesn’t need to be limited to just the holiday’s but can be leveraged throughout the year. Promotions like “Value Friday’s”, “New Product Thursdays” or “First Monday Mania” build anticipation with your customers to be on the lookout for gifts for others (or themselves). Consumers no longer see the exclusivity of Black Friday or Cyber Monday, as the day is acknowledged almost every day during the holiday season. Marketers need to modify the ‘celebratory’ days and think with a campaign mindset. Plan a holiday promotional strategy that will work best for your brand and don’t get distracted by what others are doing. You know your customer, so have some fun with them. One example is Ebates’ 12 days til Christmas promotion where they offer 12% cash back on over 200 stores. Their creative marketing messaging and fun visual content amplified the impact of the significant cost savings. The campaign was a great way to engage and build relationships with their loyal customers. There’s no question that Amazon remains a retail powerhouse. For holiday 2018, they achieved a new record by shipping more than one billion items during the holidays for Prime members. But this holiday season we saw brands challenge Amazon by leveraging their storefronts as a competitive advantage. For example, Walmart added an in-store ‘check out with me’ feature that equipped store employees with portable payment systems to easily check out customers in the heavily-trafficked store departments such as toys and electronics. And Target offered same day in-store pickup along with some stores extending their service to include curb side pick-up and home delivery. 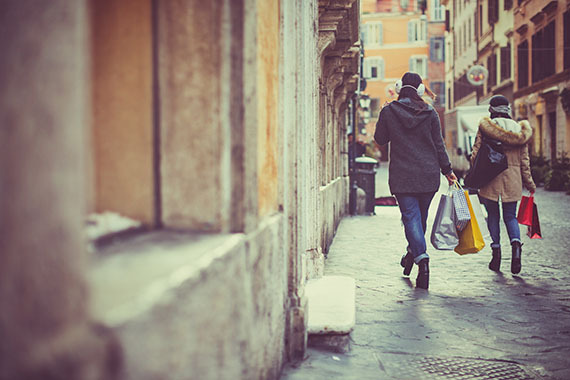 Positioning these retailers’ in-store presence as a convenient, customer-service oriented channel strengthens their positioning within the marketing landscape. Retail marketers need a holiday-planning mindset all year long. With relevant product offerings, creative channel experiences, fun deals of the week and theme-based promotions, you can engage consumers all 365 days of the year. But the first step is to ensure your data is up to the task.